Random garden steps are an excellent option when building steps into a hill, or connecting a multi level patio. Their larger dimensions can be used to create small landing areas or a more gentle slope in your steps. 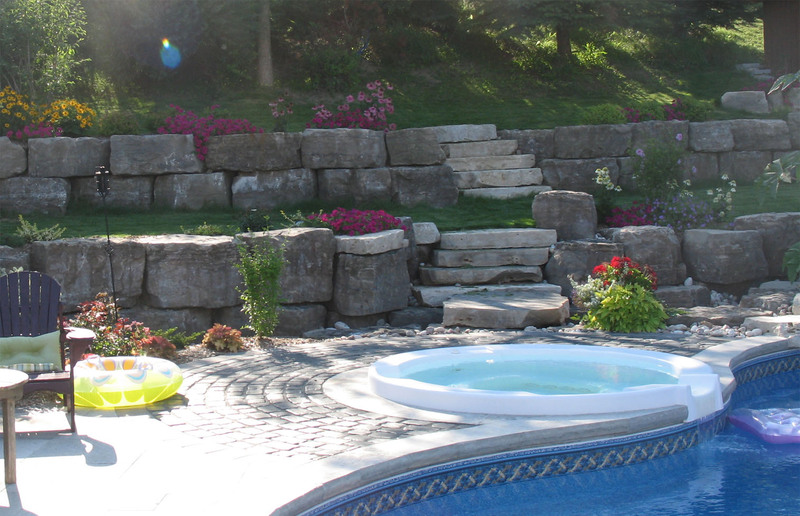 Armour stone sizes can vary, but they are usually 4 to 10 cubic feet, with varying dimensions. Random Garden Steps are pieces of armour stone which have a thickness, or rise, of 6- 8”. One cubic foot of stone weighs approximately 175 lbs.